AHR International have provided what we think is the worlds most extensive library of bearing manufacturers part number systems. Below you will find links to each manufacturer and its relevant part number system. The terms suffix and prefix are defined as follows. 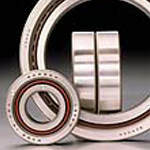 Any letters or numbers which precede a bearings basic part number are deemed prefixes. Those letters or numbers following a part number are deemed suffixes. If you require lubricants or wish to enquire on general availability then please do not hesitate to contact us.